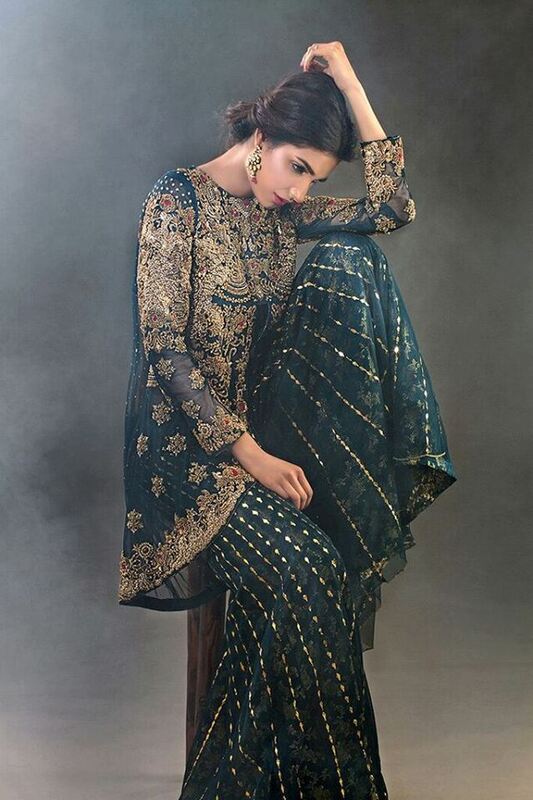 Eid madness have already began and designers have already shown their Eid collections so does bridal also because wedding season will start after the Eid.This collection is known as Delicate Ambiguity which have different types of traditional bridal dresses that Pakistani women can wear on special occasions. 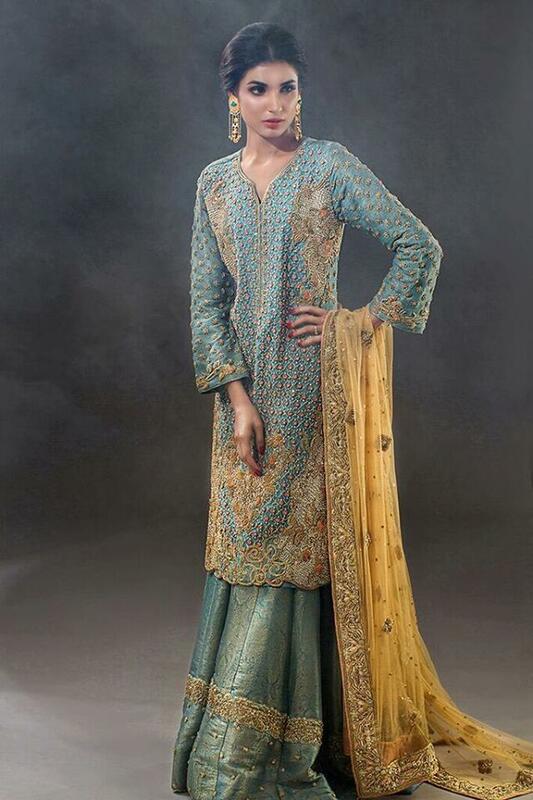 Its all about aesthetic art work and luxury designs it has bright and vibrant colors with great embroidery work and some embellishments to make this collection more special.This is a limited Eid collection which is specially designed for the new brides to look great on Ramadan and Eid events. Almost every type of fancy traditional dress is available golden dhoti shalwar with angrakha top,sarees,long shirts dress and many other all are done with hand work embroidery with great efficiency.You will find everything perfect in this collection from embroidery prints to cutting design. 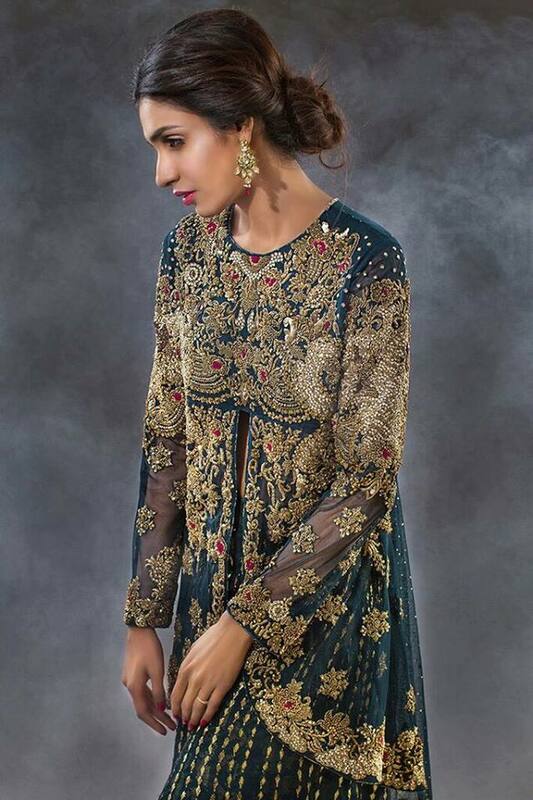 Summer Formal Bridal Wear by NF is most amazing type of vintage blended with the modern fashion luxurious art work is making this collection must buy for any event.From feminine glamorous look to contemporary NF aim is to provide the new brides their charm that will be remembered. This collection is launching in the summer time so you can expect thin fabrics light weight that are easy to wear and handle heavy embroidery is done on some dresses but that is done in a way that it is not making the dress heavy. 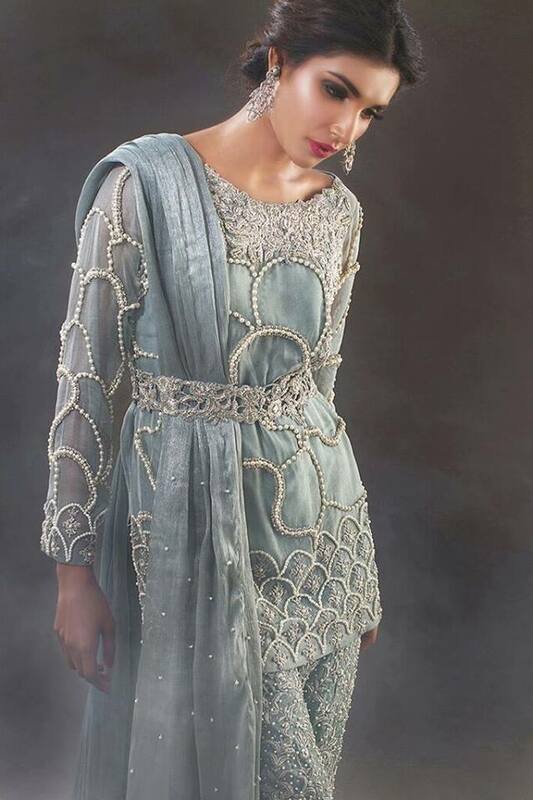 These dresses will enhance your personality more as a bride and as the stylish women around if you are fan of vintage art then you will love this collection because it has both modern and vintage art with vintage designs too so check out all the designs of Summer Formal Bridal Wear from the following gallery.